Discover this peaceful and unique stone cottage, with sea views, king-size bed and open fire. An escape of exclusive indulgence, only 10 minutes walk from the beach. 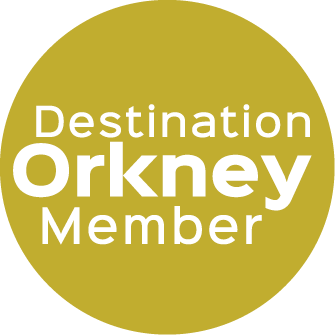 Explore beautiful Orkney from this ideally located, luxurious and romantic retreat. 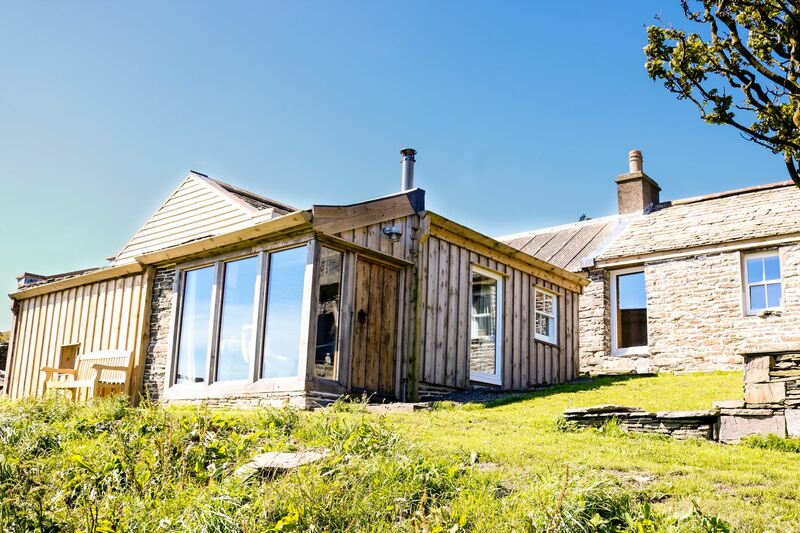 Become enchanted by The Bothy’s old-world charms, panoramic views and the beautifully appointed interior. Relax in the picture window and watch the breathtaking weather coming and going; elemental Orkney at its best. 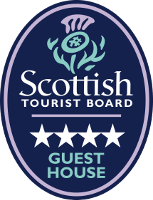 Using the Bothy binoculars, spectacular views will come alive, and you may spot hares “boxing” in the fields, birds soaring over the hill or little fishing boats coming into Tingwall jetty. Cocoon yourself in the luxurious linen of the huge bed and read your favourite book from The Little Bothy collection or simply enjoy a lazy breakfast in bed. Perhaps slip a few Orcadian gourmet treats into The Bothy picnic bag, and meander down the farm track to the beach, where you may find seals basking on the rocks and, if you’re lucky, catch a glimpse of an otter too. Nearby, discover the many world-famous archaeological sites and dramatic landscapes. Maybe start your day on the bench outside watching a spectacular sunrise, and after a day of walking, cycling, bird watching or fishing, chill out to the sounds of curlew and numerous other birdlife; or on cooler evenings, enjoy the cosy underfloor heating and snuggle next to the peat fire with a hot chocolate or dram of Orcadian whisky! Reserve your stay now at this magical cottage. Long stay deals available. Tranquillity awaits you.